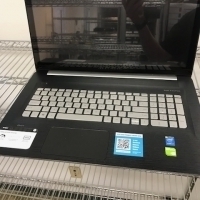 IBM T43 Pentium-M 1,73Ghz, 512MB DDR2, 40GB, Combo, 14" TFT, Grade A.
Notebook We sell and install pc, notebook, power quality products such as ups, solar cell, server, build program based on oracel, ibm, bmc, vmware storage, and do maintenance and services for all electronics and power quality products. Short on time? Let notebook sellers contact you. Shenzhen Kingsoil Industrial Company, Ltd.
New OEM-Dell Inspiron 5150 Notebook Computers. Intel P4 3.06 GHz Microsoft Windows XP Home Edition, 512 MB DDR SDRAM, 40 GB Hard Drive, 15÷ XGA Display provided in Original, sealed OEM boxes. ENGLISH Keyboard, ENGLISH Operating system and software. European Power Source. Boxed in Oem 7kilo 100 to pallet. Micro Galaxy Int'l Co. Ltd.